Develop skills with our swim programs, lessons, and certification classes. 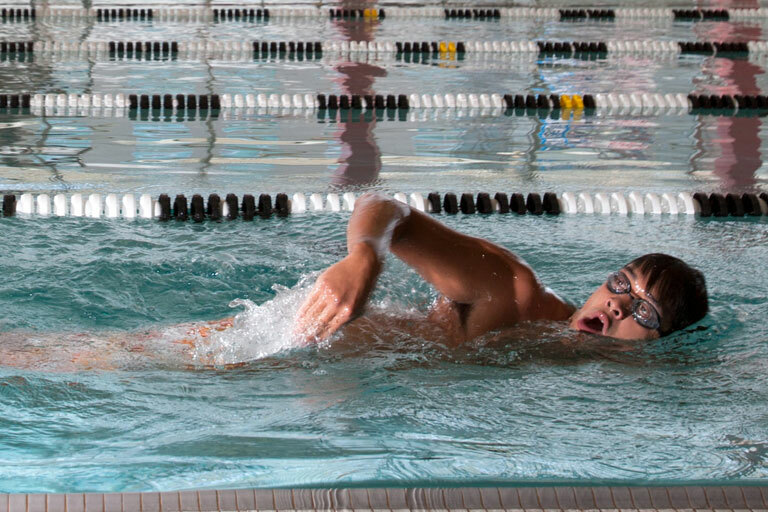 Welcome to the Aquatics Home Page for Campus Recreational Services! We are located in the Student Recreation and Wellness Center on UNLV’s campus and part of the CRS Membership for students, faculty, staff and community members. Please feel free to contact us with any questions you may have about our facilities or programs. A minimum of two lanes are always open for lap swim during our pool hours of operation. SRWC reserves the right to close the pool area without notice. Guests can either bring their own lock and towel or purchase one from the Pro Shop. All guests may purchase a day pass for $10.00. Guests must be at least 18 years of age, present a valid government issued ID, and complete the guest pass waiver prior to obtaining access. Guests do not need a sponsor in order to purchase a guest pass. *Guest passes are valid until closing on the day of purchase. *Waiver must be completed for all programs. How Old is too Old for Swim Lessons? Group Swim Lessons at the SRWC are for both adults and children. Our Adult Group Swim Lessons are free and drop in. 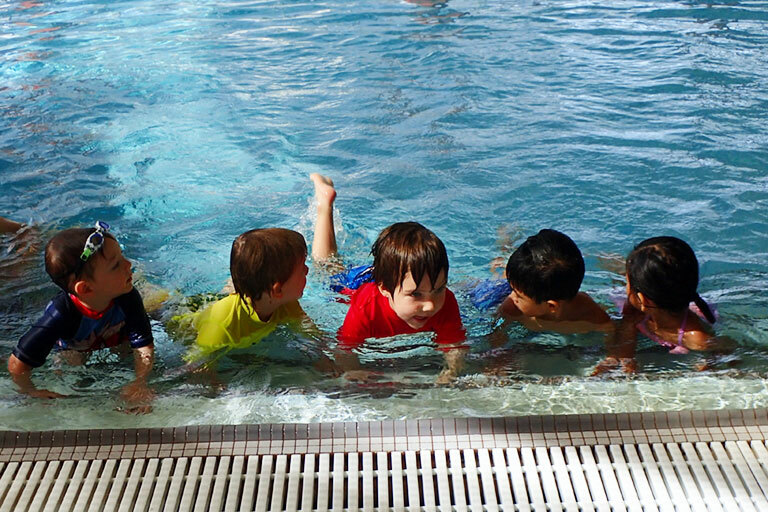 Our Children's Group Swim Lessons consists of small group classes that are great for families with multiple children, infants 6 months of age that need to develop a comfort around the water, and any youth who want to learn to swim. All classes are taught to American Red Cross standards. Check out the schedules below! Private Lessons are a great way to set individual goals and have one-on-one attention from an instructor. Our certified Water Safety Instructors work within each individual's or partners' schedules to offer the most convenient option for learning to swim or updating your skills. Sessions are 30 minutes in length and for SRWC Members only. 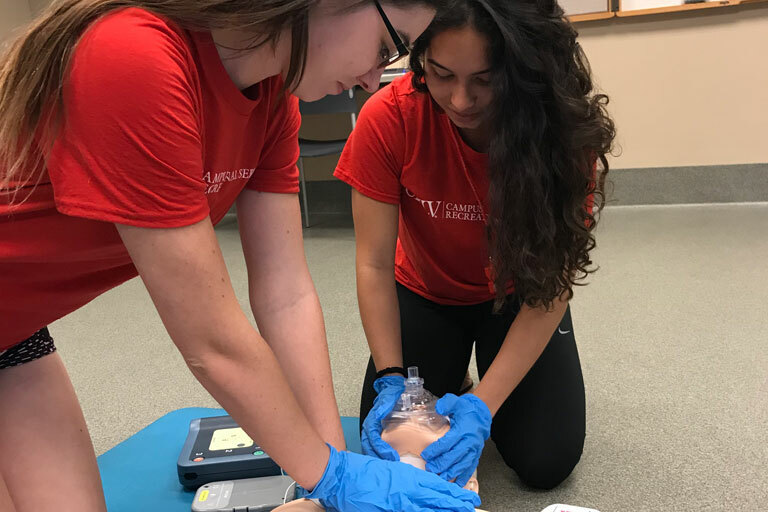 Our certified instructors will be teaching Adult CPR/AED/First Aid, Lifeguarding, Lifeguard Instructor and Water Safety Instructor Classes. Private classes can be taught if there are 4 or more people interested in the class. All classes will be in the SRWC Wet Classroom. We offer a wide variety of recurring events and special events throughout the school year! These events include Swimming Workshops, Pool Parties, Aqua Zumba, Battleship, Innertube Water Polo and more! Come in and check out our events!